NASA has successfully completed the Pluto New Horizons Fly-By, and they have also released an awesome sneak peak image portraying the dwarf planet in more detail than ever before! The following was released by NASA in celebration of the mission success! 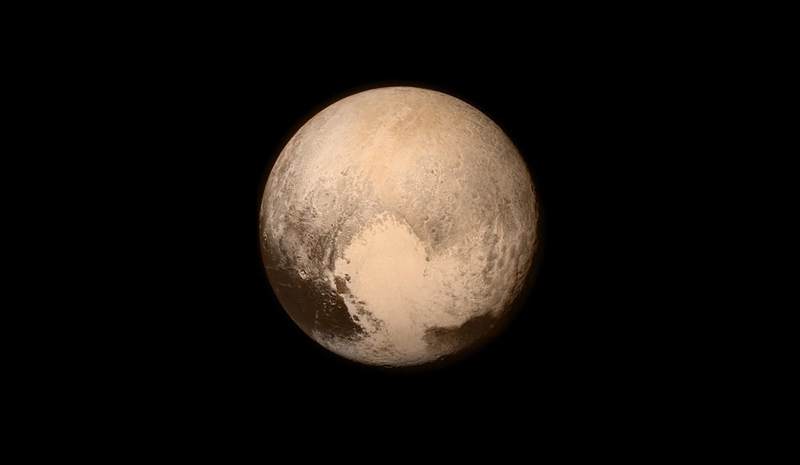 "SNEAK PEEK of gorgeous Pluto! The dwarf planet has sent a love note back to Earth via our New Horizons spacecraft, which has traveled more than 9 years and 3+ billion miles. This is the last and most detailed image of Pluto sent to Earth before the moment of closest approach - 7:49 a.m. EDT today. This same image will be released and discussed at 8 a.m. EDT today. Watch our briefing live on NASA Television at: http://www.nasa.gov/nasatv The high res pic will be posted on the web at: http://www.nasa.gov. This stunning image of the dwarf planet was captured from New Horizons at about 4 p.m. EDT on July 13, about 16 hours before the moment of closest approach. The spacecraft was 476,000 miles (766,000 kilometers) from the surface."